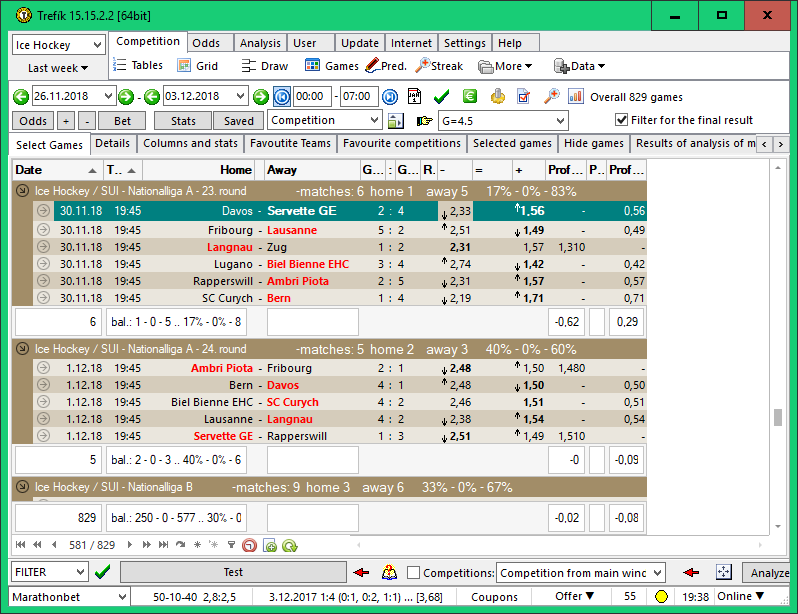 This sample provides a quick check of overal profit on the selected tip in the Offer window. This task can be done without using the Stats / Profit feature. 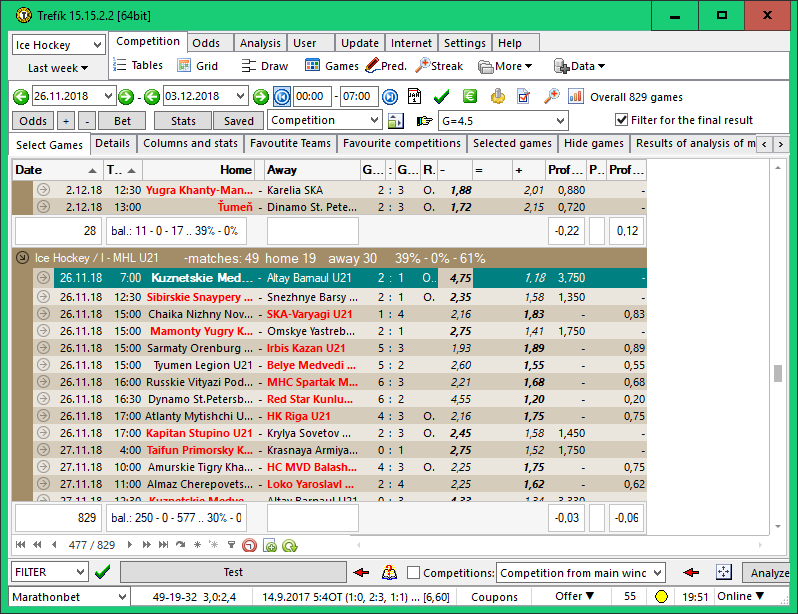 The data can be directly at the list of matches. .. the figure shows the total loss for the tip 1 (home win) is -0.07. For the tip X (tie) the loss is -0.15. 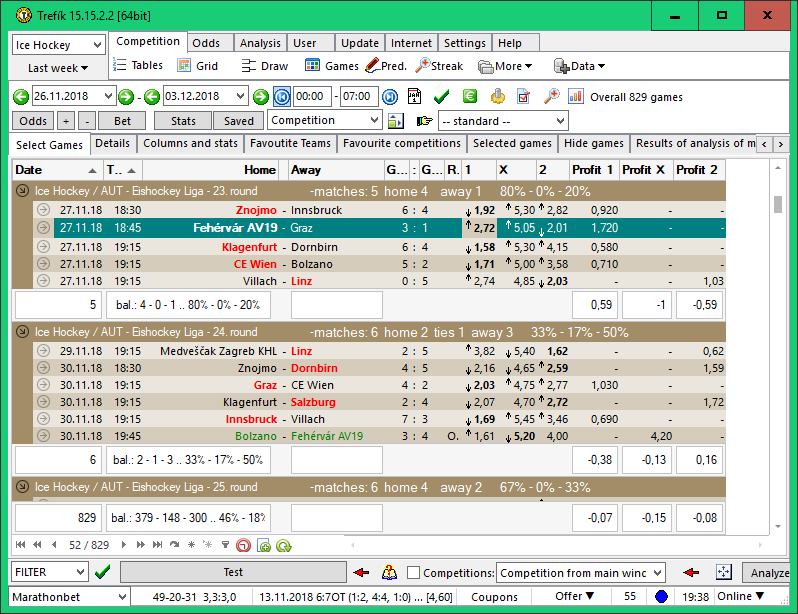 .. the reason for profit 1 is worse than in the previous case is the fact that more matches have odds U/O 4.5 as multiple bookies are selected now. This way, you can quickly analyze the profitability of different match selection strategies. An alternative to this profit analysis is the Statistics / Profit feature.